MEET LLOYD! – TromaFest in Vancouver, BC! This July 18th, Shivers Film Society and UBC Film Society present Vancouver’s very first TROMAFEST with Lloyd Kaufman at The Norm Theatre! FEATURING: Lloyd Kaufman’s ‘Make Your Own Damn Movie’ 90 minute Master Class! Lloyd Kaufman in person! Lloyd Kaufman, President of Tromaville and creator of the Toxic Avenger, will attend Vancouver’s first-ever TROMAFEST! A major Troma retrospective presented by Shivers Film Society and UBC Film Society. Iconic classic films like Citizen Toxie: The Toxic Avenger Part IV, Tromeo & Juliet and the musical masterpiece Poultrygeist will be screened at The Norm Theater at UBC. 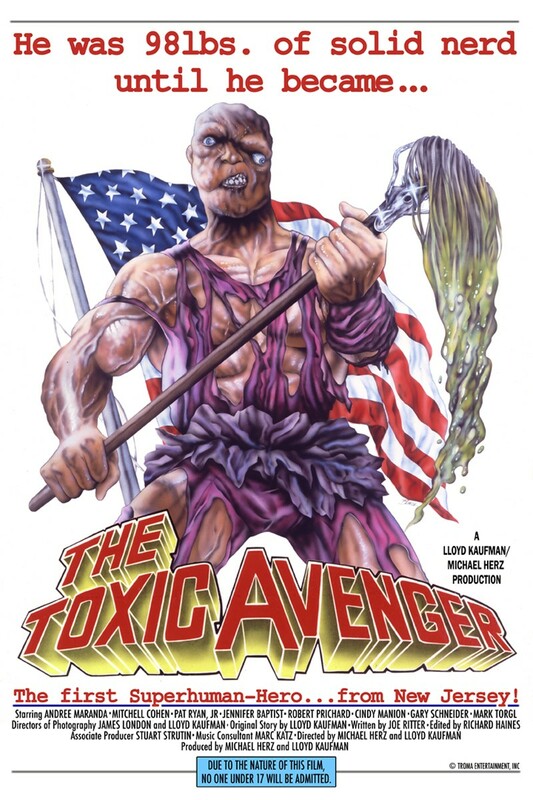 A very special The Toxic Avenger screening will take place at noon with live-audio commentary by Lloyd Kaufman. The legendary director will also be conducting a 90-minute version of his world renown Make Your Own Damn Movie Master Class on-site! Troma merchandise will be available through all day. For more info on Lloyd Kaufman and the Troma Team, fans can ‘Like’ Troma’s Facebook page. ‘Subscribe’ to Tromamovies YouTube Channel for hundreds of full length films, cartoons and shorts! This entry was posted on Friday, July 18th, 2014 at 9:34 am	and is filed under Events. You can follow any responses to this entry through the RSS 2.0 feed. You can leave a response, or trackback from your own site. You are here : Home » events » 2014 » 07 » 18 » MEET LLOYD! – TromaFest in Vancouver, BC!